Oh My Goodness Me! 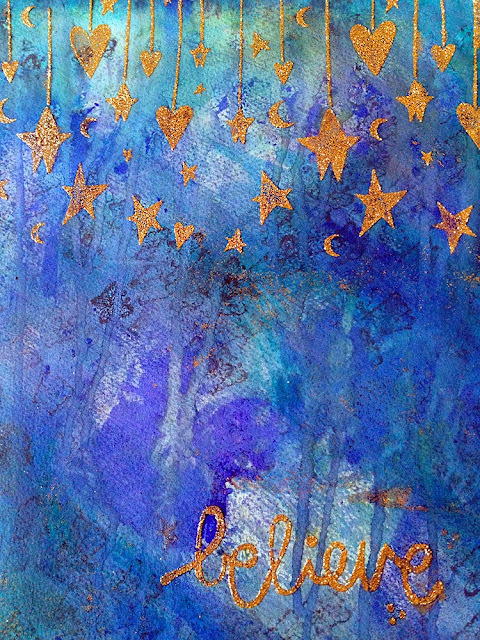 I was asked by Tamara Laporte a couple of weeks ago if I’d like to play with her new range of stencils that’s coming out soon and talk about them in my blog here. How awesome is that!! 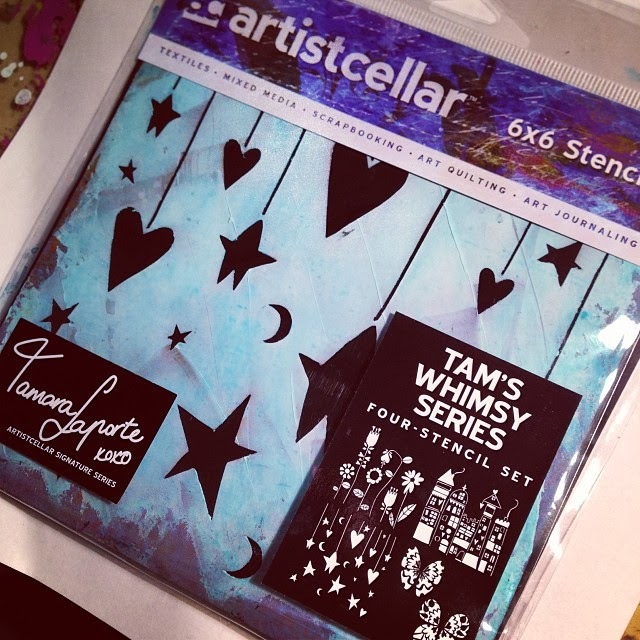 These stencils are a collaboration between Artistcellar and Tam, and they have created two series: one called "Tam's Whimsy" and the other called "Tam's Inspiration". And I LOVE them! I haven't used stencils before so I was a little worried that I wouldn't create something I liked enough to share, but truly they are so easy and (more importantly) fun to use. When I received them in the post, I felt so excited to be given such a wonderful opportunity (and quite honestly pretty chuffed to get free goodies too! LOVE freebies!). 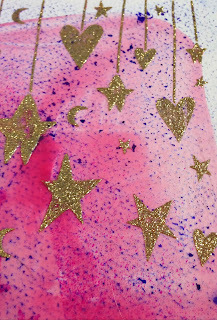 Sparkle Medium (glitter paste!) on top of a watercolour background. 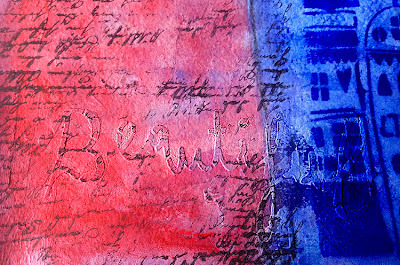 Spray Inks (for the houses), Golden's Molding Paste (gave a clear, crisp line with the star and 'beautiful' stencils), watercolour crayons, graphite and a script stamp. Watercolour background, Golden's Molding Paste, and posca pens. I have two sets of stencils to giveaway, wwwooooo hoooooo!! For a chance to win them comment in the box below by 20th November and I will announce the winner on the 21st :) To make sure you get notified, you can sign up to my newsletter by clicking here: Subscribe to Newsletter! Sign up to my newsletter by clicking here: Subscribe to Newsletter! Gorgeous, gorgeous layers Gracie! 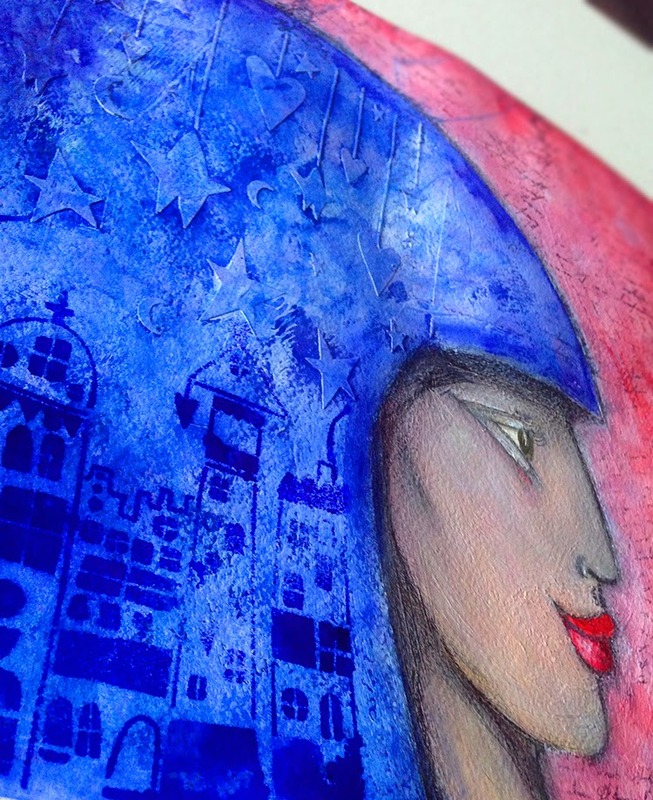 Modelling paste is one of my favourite supplies to use. Yum! 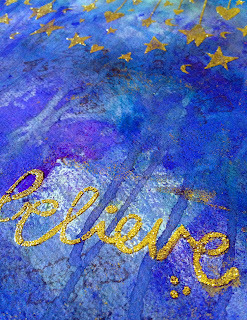 Wonderful work and those stencils look lush! Really love your work! You made great use of the stencils and made me want them even more! ! Beautiful job with those stencils!!! I would love to win them!!! Thank you! I love what you did with Tam's stencils! It's been so much fun seeing how everyone is using them. Thanks for the chance to win a set! Gracie, your work is beautiful. I would love to win these stencils. However, it was such a treat to witness your wonderful use of the stencils. LOVE your page! Thanks for the chance to win! I love what you've done with the stencils! The blue hair is fabulous!! Who doesn't love sparkle? It makes the world prettier :) Please enter me in the drawing for one of these fabulous stencils. love how you used the stencils!!! Your watercolour backgrounds are so lovely...the perfect foil for the hard-edge stencil designs. LOVE those stencils. Ooooo the glitter paste! How I would love to play with these! 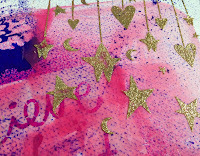 Wow, love the stencils (of course) and adore what you did with them, that glitter paste is also on the wish list. Love what you did here, especially the houses on the woman. Great use of all these cool stencils! Esp love that Whimsy stencil.....so happy and carefree. Love what you have done with these. Wonderful pieces. looks lovely & thanks for a chance of winning a set! Everything you did was nice. I love, love, love both Tam and her stencils. She has a very nice handwriting, and cursive script. I want to win! Love all the sparkle! And Tam's stencils are so versatile. I'd love to win! Love your blog! Just have discovered this place recently and I'm subscribed to your blog! I like Tam's stencils and I barely have any stencils so I would love to win those! Thank you for sharing all your creativity with us! They are all great, but I really love the girl with "houses in her mind"
Lovely work, I am partial to the stars but all are very creative. I must say that I love what you've done with Tam's stencils. They are definitely something that I could see using over and over. love Tam's stencils...it would be so much fun to win! 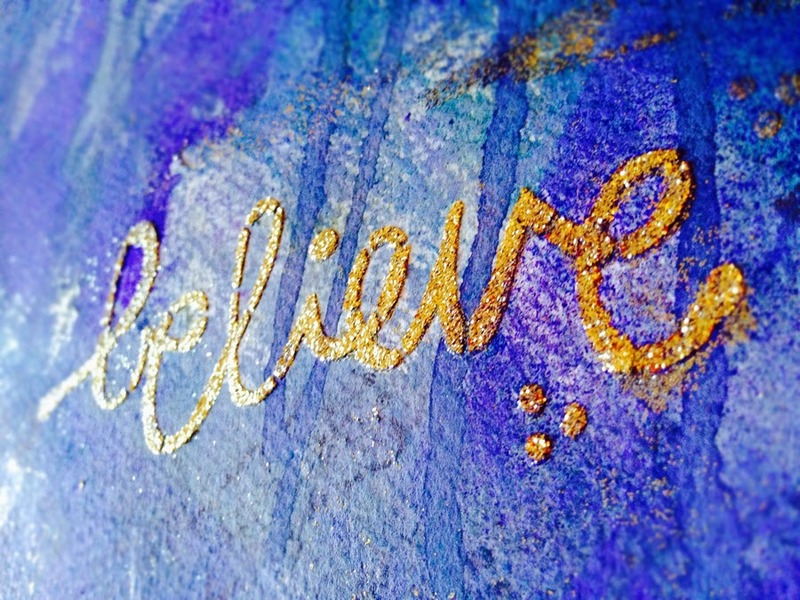 I love the gold sparkle paste and what you did with the stencils. These stencils rock! Hello Gracie! 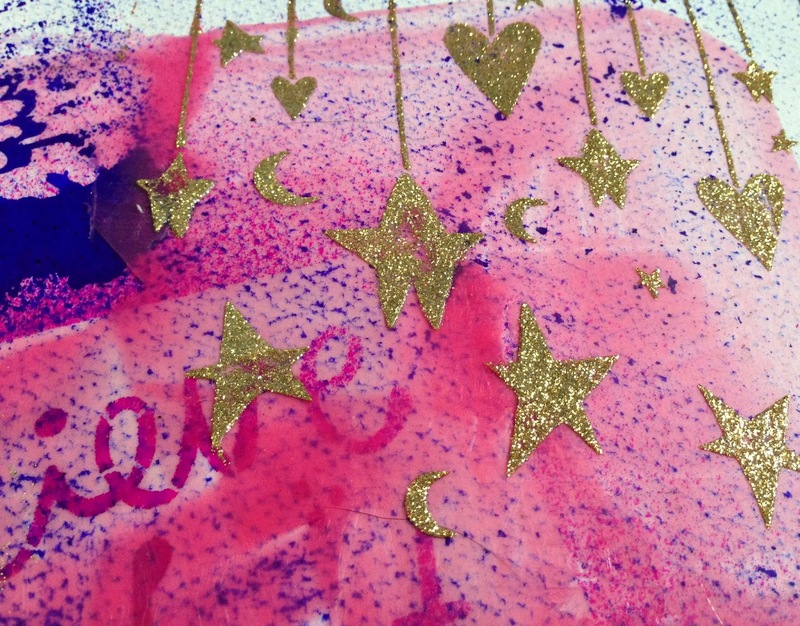 Loving how you made the hearts & stars twinkle & sparkle w/ glitter paste!! And how you adorned your girl's hair w/ the cityscape & dangling stars & hearts...fun!! I love your piece using the houses stencil in the girl's hair, awesome. =) So much texture! I love what you did with the stencils and all that sparkle looks very cool. OH MY GOSH DO I LOVE WHAT YOU DID!!!! LOVE the sparkle so much! This is only my 3rd comment. Oh well.... LOVE! You made great things from those stencils! It would be nice to try it. Thanks for giving a chance to win the set. I love your use of Tam's stencils in your girl's hair. I want to play too! Love your bright colors! 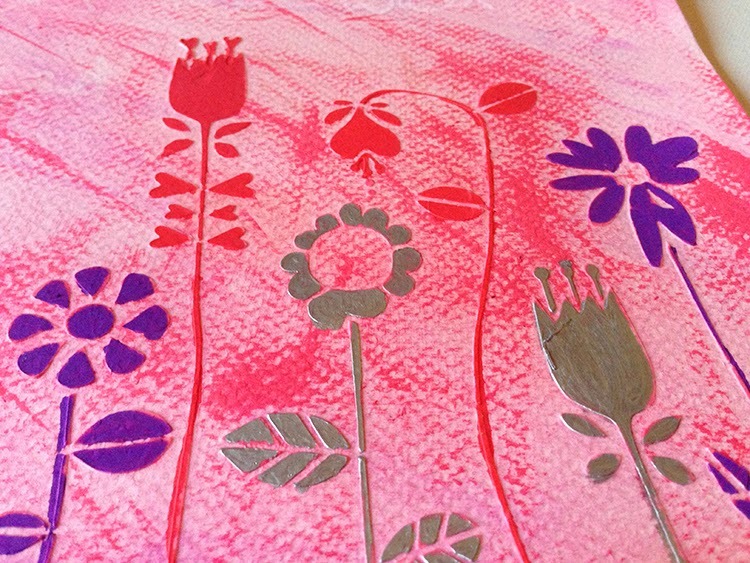 These stencils have so many options for art making. Love seeing all these great ideas. Thanks! Gracie , I love what you did with the watercolor background and the glitter paste! 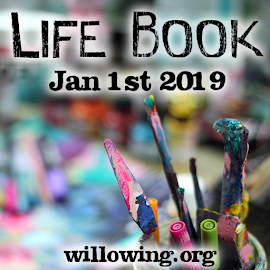 This blog hop is great for new ideas. I'd love to win a set. Wow Gracie! 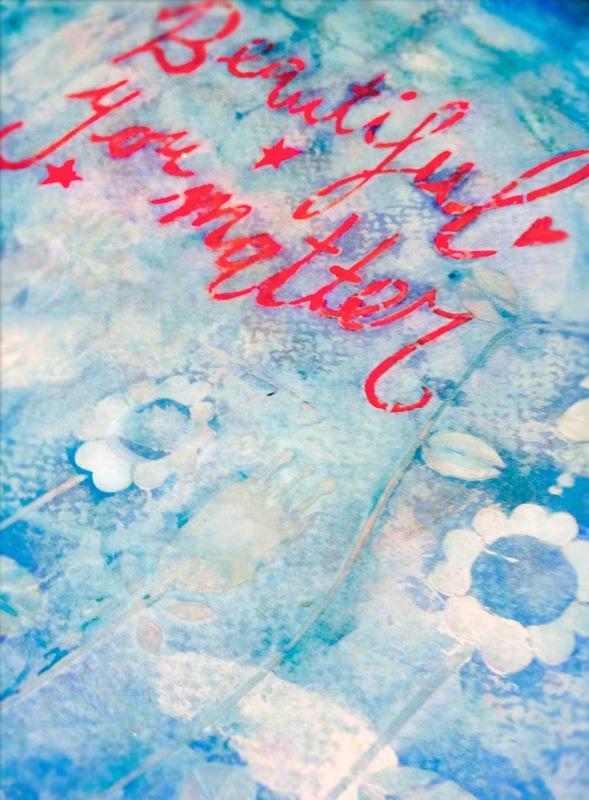 Such GORGEOUS pieces you created with Tam's stencils! beautiful!! I love the colors you chose and the city in her hair. Just beautiful. love the sparkle'ness you did! I am so excited about finding YOU! I have asked for a few paint supplies for my 63rd birthday. I am using your '10 favorite' as a beginning. . one or two at a time and I will take your class. You RocK!! Wow! I had never visited your blog before, but this will be a regular stop for me from now on. I am amazed by your GORGEOUS work! I love your work! especially the buildings incorporated into her hair!!! 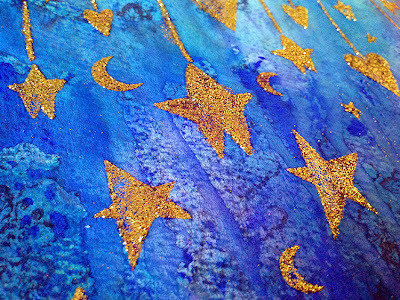 I absolutely love what you've done with these stencils, and the jewel like brilliant colors you used! Loved how you used molding paste. 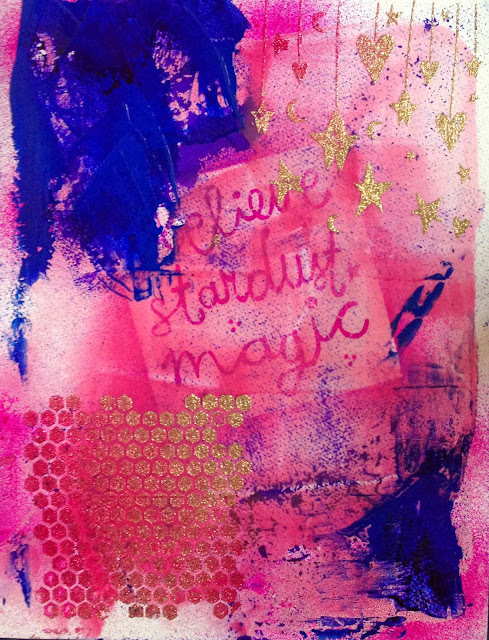 I do believe that all of us are created from stardust that has worked its magic in our lives in very unique ways. Wow, love this! 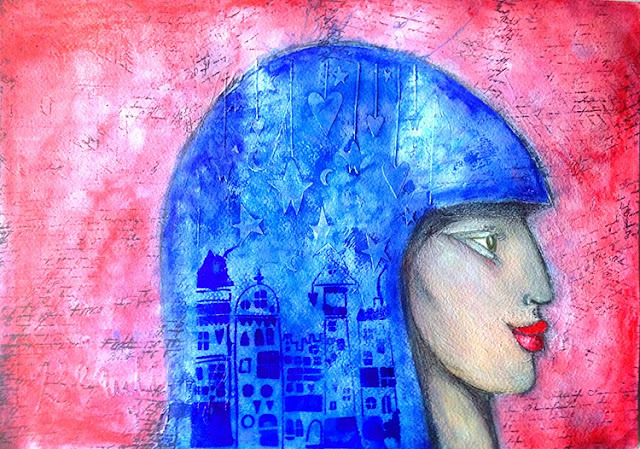 The use of stencils in the hair, the modeling paste, sparkle medium, watercolor background... they all look fabulous! You have given the stencils a wonderful interpretation. 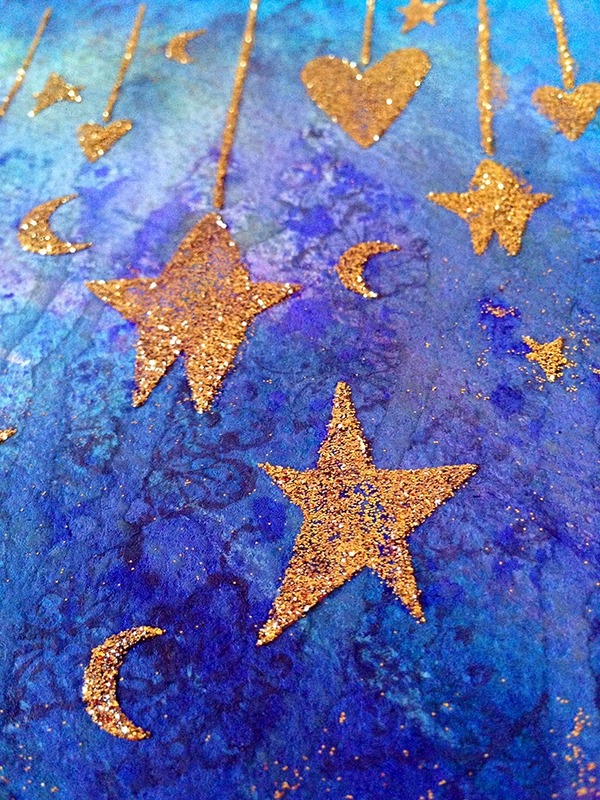 I love the sparkling stars. Thank you for the opportunity to win one of thse stencils. Love what you did with these! All your work has great texture. Glad I'm still in time to enter the giveaway!